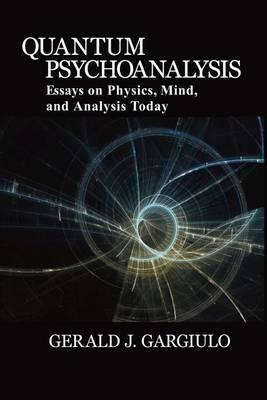 In Quantum Psychoanalysis: Essays on Physics, Mind, and Analysis Today Gerald J. Gargiulo seeks to align psychoanalytic theory with physic's new probabilistic conception of the physical world and, in so doing, to provide psychoanalytic clinicians with a needed new metapsychology to support current intersubjective perspectives. The post-modern conception of quantum physics has called into question the certainty of classical physics, which sought law-like patterns of physical forces in a physical world of absolute categories that exist independent of subjective interpretation. It is well known that the new clinical theories that have emerged in psychoanalysis since Freud, as a result of treatment experiences with a wider variety of patients, have not fit well with his original underlying metapsychological categories (e.g., id, ego, superego) and his explanations of competing energic forces (e.g., repression, repetition compulsion), which he created out of the modernist view of Newtonian (classical) physics of his time. Although the post-Freudian theories of object relations, self psychologies and relational psychotherapies have their differences, all share a contemporary focus on the indeterminacy of interactions between two subjectivities--patient and therapist---as they engage in mutual interpretation to create particular realities. Readers of Quantum Psychoanalysis Essays on Physics, Mind, and Analysis Today will find fresh perspectives on the therapeutic processes that define contemporary clinical treatment. As readers engage with Gargiulo's use of metaphors from quantum physics they will discover potentialities for new metapsychological insights, moving psychoanalytic theory closer to 21st century science.